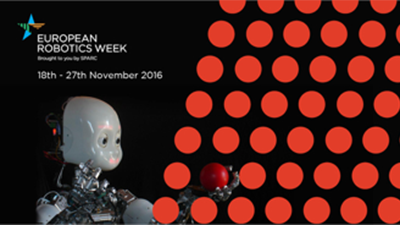 The European Robotics Week (18-27 November) during which more than 830 events were organised in 30 countries, has just ended. Also in our country, numerous events were organised; Italy is in fact a leader in robotics research, so much so as to be considered one of the most advanced in Europe. An example is the Italian robotics school founded in 2000, which has become a national and international point of reference for many research and application activities in the robotics & society field (for more information see scuoladirobotica.it). In recent years, robotics has evolved considerably, in terms of both the technologies developed as well as applications, especially in the field of environmental monitoring. Robots of various shapes, sizes and abilities have been developed; those that have developed the most in recent years are inspired by nature, especially plants and marine animals (such as fish, octopus and jellyfish), but also insects. Another innovation is represented by the construction material of these robots: from the first models, made of rigid materials, soft materials that best mimic animal and plant characteristics are now being used. We are speaking of soft-robotics, a young but promising and innovative technology that will grow strongly over the next decade. In this sector, Italy is represented with pride by Cecilia Laschi and Barbara Mazzolai, the only Italian scientists among the “25 brilliant women of robotics” selected by the RoboHub community at the end of 2015, precisely because of their decisive contribution to the development of soft robotics. There are numerous types of robots for various applications, such as waste water purification (for more information see “Micro-robots for wastewater treatment“), water quality monitoring or control and destruction by sonication (lgsonic.com) of the algae responsible for lake eutrophication. For further details on eutrophication, visit “What is eutrophication? Causes, effects and control“. In this short review, we will see some of the latest robot-drone models, including: Plantoids, Octopus robots, Fish robots, Underwater drones, Insect robots and drones for extraterrestrial exploration. 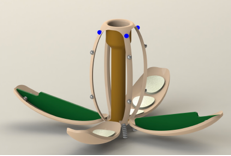 These are soft robots of the Robotics programme of the Italian Institute of Technology that imitate the behaviour of plants, in particular of their roots. Thanks to special sensors, the “smart roots”, able to react to different external physical stimuli (gravity, water, temperature, light, etc. ), are able to simulate the radical elongation typical of plants by modifying their mass. The ability to recognise and identify useful or harmful substances such as pollutants makes Plantoids very useful for exploration of the subsoil (search for deposits of metals and hydrocarbons) or for the remediation of polluted sites, but also in the biomedical field or for space exploration. For further information see plantoidproject.eu. This is a soft robot inspired by the octopus. It has the ability to change its shape by stretching, shortening or flattening itself, thanks to the fact that it consists of air and granular material: if air is sucked out, the robot stiffens, positioning itself in the desired shape, if air is blown in, the granules move freely making the robot malleable. The Octopus robot is also able to bypass obstacles, adapting itself to the external or environmental conditions in which it is placed. This technology could be applied in several areas: in surgery, to perform minimally invasive and high precision operations, but also to communicate the tactile sensations perceived by its sensors to the surgeon; in the field of robotic prostheses for rehabilitation after illness or an accident, or as rescue robots to be used in search and rescue missions. For further details, watch the following video: https://www.youtube.com/watch?v=GokXenMVEEg. 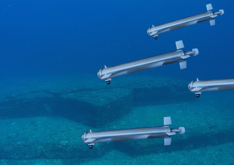 Some Fish robot models have been developed as part of the “subCULTron“ scientific project, promoted by the European Union, which aims to create new standards in environmental monitoring. In particular, a swarm of 120 (small autonomous underwater) Fish robots was built and introduced into the lagoon of Venice in 2016, able to talk to each other and to collect environmental information. The parameters that can be measured in water are: temperature, oxygen concentration, salinity, alkalinity, turbulence, currents, density and turbidity. The robots are also equipped with cameras, both for taking photographs of fauna and flora, as well as to estimate the density of organisms. For further details, visit the project website subcultron.eu. Three types of robots have been developed: “aFish”, “aMussels” and “aPads“. aMussels: look like mussels, with a protective shell and designed to rest on the seabed, collect data and to move using energy sources, such as water currents. aPads: these are similar, in shape, to water lilies: they float on the surface and to obtain energy are able to change the direction of their leaves according to the movement of the sun. Flying drones are now well-known and used in many different applications, both recreational and professional (engineering studies, civil protection, environmental monitoring, etc.). 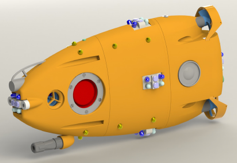 In recent years, underwater drones have also been developed, veritable underwater robots that can dive to great depths and operate more or less autonomously depending on the model. For further details on drones for recreational purposes we recommend this link: robotiko.it/drone-sottomarino/(in italian). There are a various underwater drones for environmental monitoring applications. The following are some example projects: ArcheoRov, Venus Swarm and COTSbot. 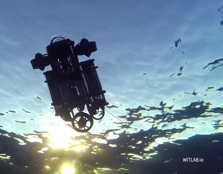 An all-Italian example of an aquatic drone is the ArcheoRov, able to reach a depth of 100 metres and controlled by a PC or tablet. ArcheoRov, designed to explore the seabed for archaeological research, is very well suited for studying the marine ecosystem and coral reefs, for recreational purposes to explore shipwrecks, but also for searching and controlling illegal discharges, as well as for searching waste deposits or pollutant spills. For further information, visit the website archeorov.witlab.io/ and watch the video presentation https://www.youtube.com/watch?v=Zp8wzjNl3DQ. Venus Swarm, a swarm of underwater drones for controlling the seabed, was developed in Italy by ENEA and the University of Rome Tor Vergata. The goal is to study climate change, fish behaviour and the Venice lagoon affected by the MOSE project. The drone, designed based on the behaviour of fish, moves in groups of dozens of elements, to monitor the temperature and salinity of the sea, study the currents and coastal erosion and act as a tsunami alert. Each fish robot is equipped with an acoustic and optical modem that allows it to communicate with each drone of the swarm, creating a veritable underwater wireless communications network using sound and light; there is also a transponder for satellite connection. For further information visit the ENEA website http://www.enea.it/it/Stampa/news/innovazione-pesci-robot-per-la-difesa-della-laguna-di-venezia/. At this link, on the other hand, you can find the ENEA Channel demonstration video: https://www.youtube.com/watch?v=rUOjrA9pOK0. Il COSTbot a torpedo-shaped underwater drone, developed by the Institute for Future Environments at the Queensland University of Technology, with the aim of identifying and killing a particular species of starfish, the Crown of Thorns. This starfish, literally “crown of thorns”, feeds on corals and being a pest species (reproducing up to one hundred thousand specimens per kilometre), is destroying Australia’s Great Barrier Reef. “The technology is based on two key components: an image recognition system and a learning machine”, explains the creator of the device, Matthew Dunbabin. The COSTbot autonomously identifies the starfish and poisons it by injecting a toxic liquid. If the robot is not sure that the starfish identified is a Crown of Thorns, it takes a photo and sends it to the surface where an operator decides whether or not to complete the poison injection procedure. The drone will then be able to save the operator response in its memory and proceed in the future without having to ask the same thing. For further information visit the website wiki.qut.edu.au, and watch the videos https://www.youtube.com/watch?v=RS3EpYfeJAk and https://www.youtube.com/watch?v=-tG60zUFW-A. Harvard University has developed insect-like drones, the “RoboBee”,i.e. a microscopic insect-shaped robot able to behave like a dragonfly. In fact, depending on the frequency of oscillation of the wings, these nanodroids are able to fly, rest on the water, dive or move as if they were insect larvae. 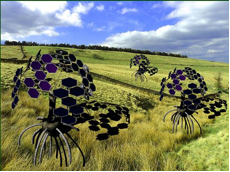 The use of these bee- or dragonfly-like nanodroids could range from artificial pollination of crops to civil protection during search and rescue, exploration of hazardous environments or military activities. In certain models, due to their small size (about 80mg in weight and 3 cm long) it is not possible to insert a battery, so the energy is external and is channelled via a power cable, as in the following video: https://www.youtube.com/watch?v=hEZ7rHRifVc. For further information visit the link seas.harvard.edu. Researchers at NASA’s Jet Propulsion Laboratory at the California Institute of Technology and other organisations have designed a group of six coordinated drones at Monterey Bay, on the coast of California. The NASA researchers want to teach the underwater drones to take their own decisions while navigating, developing an artificial intelligence which, gathering information on the surrounding environment, is able in real time to select the navigation route to follow the target of interest (fish, plankton, sea current, etc.). The goal is to develop a technology to allow these unmanned underwater drones to explore the icy oceans that are believed to exist on the moon Europa revolving around the planet Jupiter. For further information visit the NASA website. Massimo Spampani, È italiano il primo robot ispirato alle piante, 14/10/2014. Maurizio Garbati, Robot ispirati alla natura, 16 maggio 2016. ENEA, Innovazione: pesci-robot per la difesa di Venezia dall’acqua alta, 01/10/2015. Stefania Marra, Il drone sub che protegge i mari, 16/12/2016. Mary Hoff, 15 Surprising Environmental Trends to Watch in 2017, 30/12/2016. Stephen Luntz, Robots To The Rescue Of The Great Barrier Reef, 26/10/2016. Queensland University of Technology, New robot has crown-of-thorns starfish in its sights, 02/09/2015. Hillary Grigonis, NASA is training underwater drones to explore Europa’s icy oceans, 14/12/2016. Fabrizio Ferrara, Pesci ed insetti robot per monitorare la qualità del nostro ambiente, 05/10/2015. 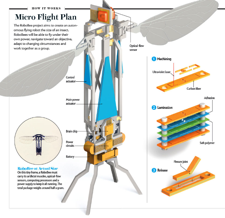 Robert Wood, Radhika Nagpal and Gu-Yeon Wei, Flight of the Robobees, Scientific American 308, 60 – 65 (2013) Published online: 19 February 2013. doi:10.1038/scientificamerican0313-60.